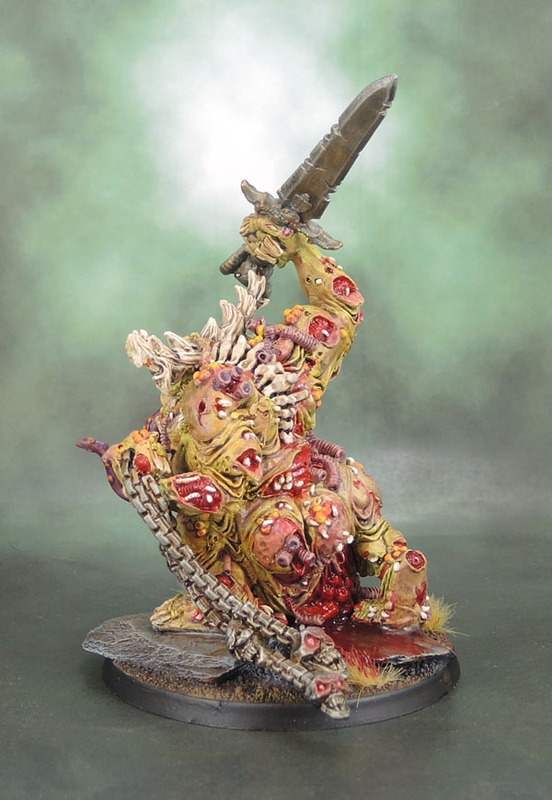 Realm of Chaos – Nurgle’s Children 2018 #3: Trish Morrison’s Great Unclean One (1996-8) Painting Decemb-uary 2017-18: Part 5 | Azazel's Bitz Box. 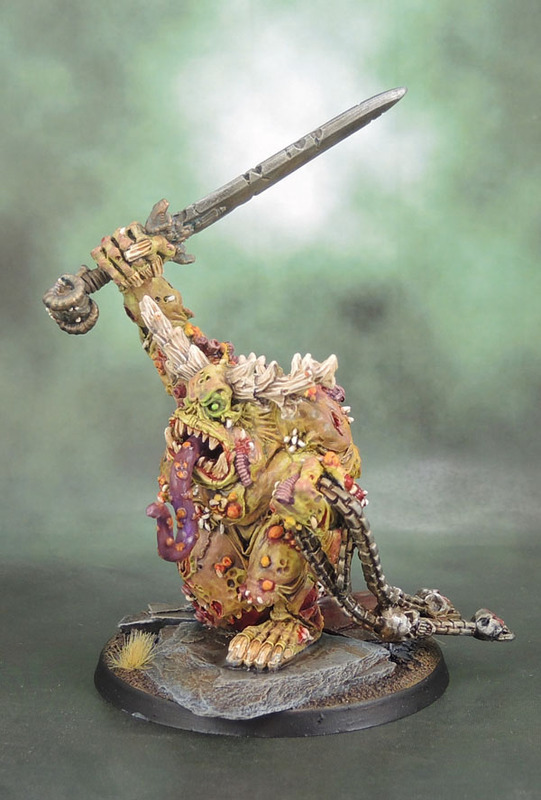 This entry was posted in 40k, Age of Sigmar, Nurgle's Legions, Oldhammer, Realm of Chaos, Warhammer Fantasy - 9th Age and tagged 40k, Great Unclean One, Lost and the Damned, Nurgle Daemons, Oldhammer, Oldhammer 40k, Realm of Chaos, Warhammer 40000, WHFB. Bookmark the permalink. Impressive! 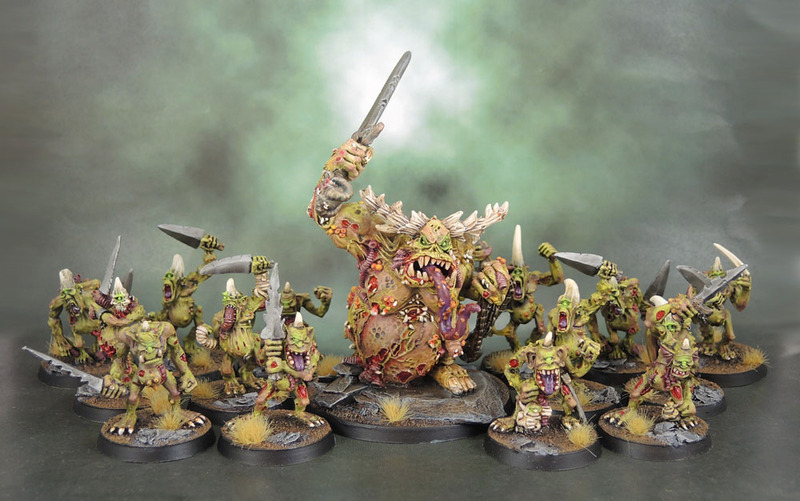 Grim, disgusting, and downright nasty also apply, but impressive nonetheless! They look fantastic mate! Love the glowing eyes! I can’t see to get that effect right whenever I have tried. 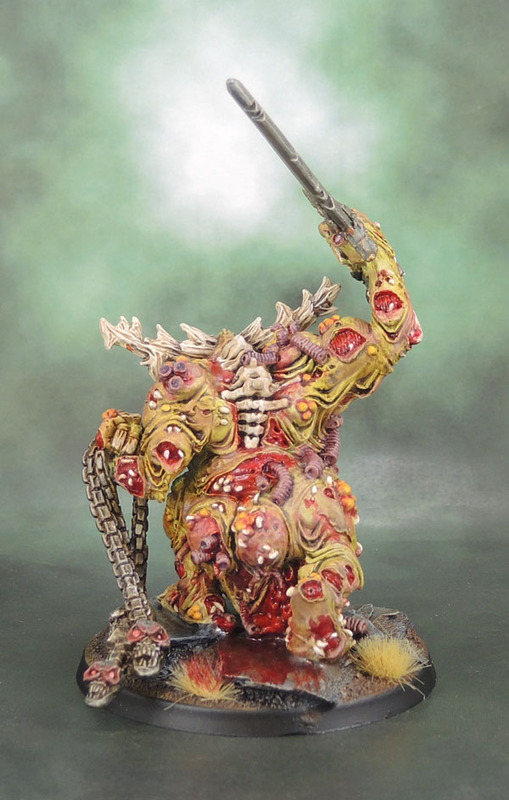 I’ve been trying a new technique that I read about for the Plaguebearers and this guy. Paint the eyes white, then carefully stipple diluted Scorpion Green over the area. 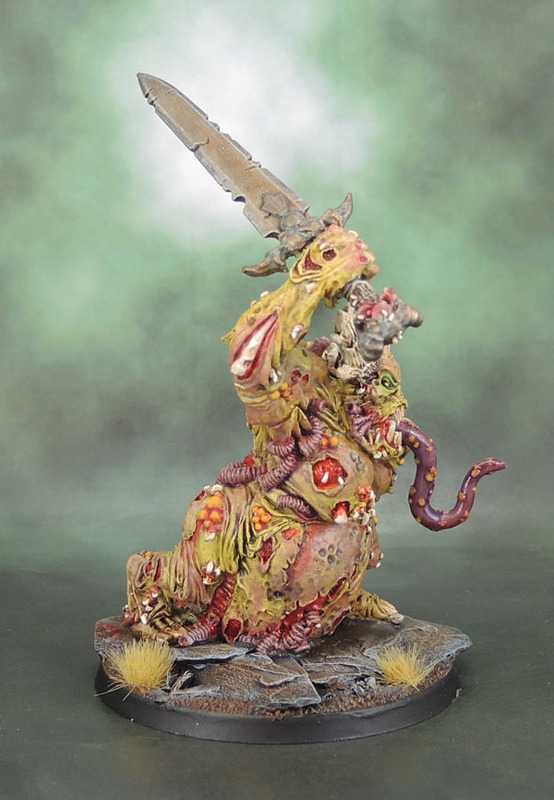 I used a Evil Sunz Scarlet for the Skull-Flail and sword because there was already so much green. I also varnished those areas first – just to be safe in case I needed to try and brush it away. I am grossed out, amazed, and inspired. Well done! Perfect mate – absolutely spot on! 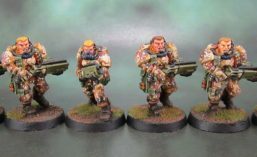 I have this one undercoated in my paint queue. 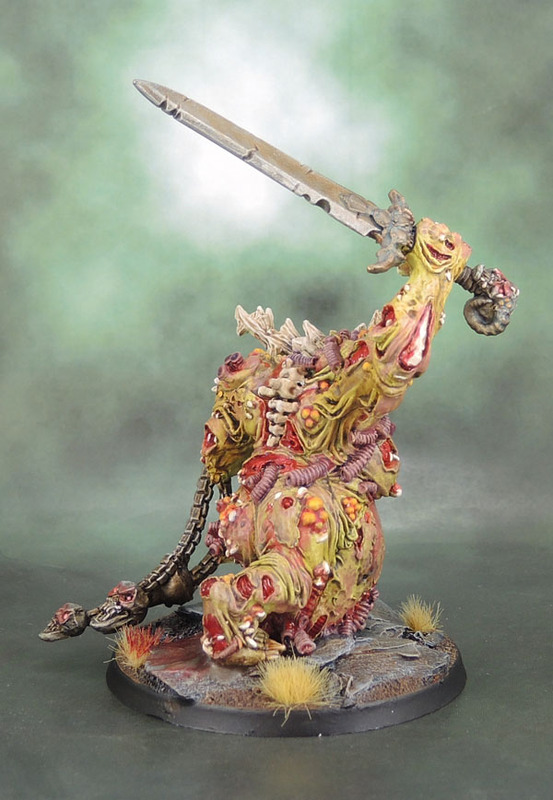 Your paint job nicely highlights just how much detail it has on it. The presence of so much detail is the reason it is still languishing in the unfinished queue. Mine’s under a thick one-layer coat of green paint. 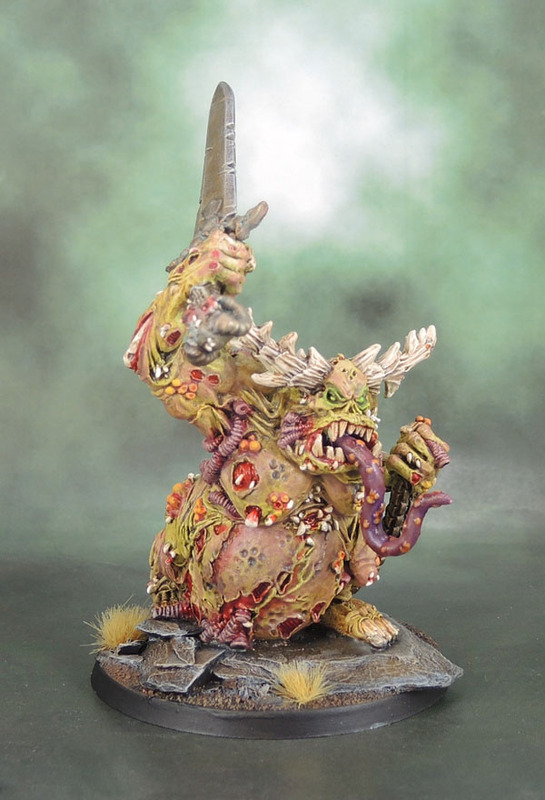 Pingback: Realm of Chaos – Nurgle’s Children 2018 #4: Reaper Bones Carrion Worms (as Beast of Nurgle proxies) | Azazel's Bitz Box. 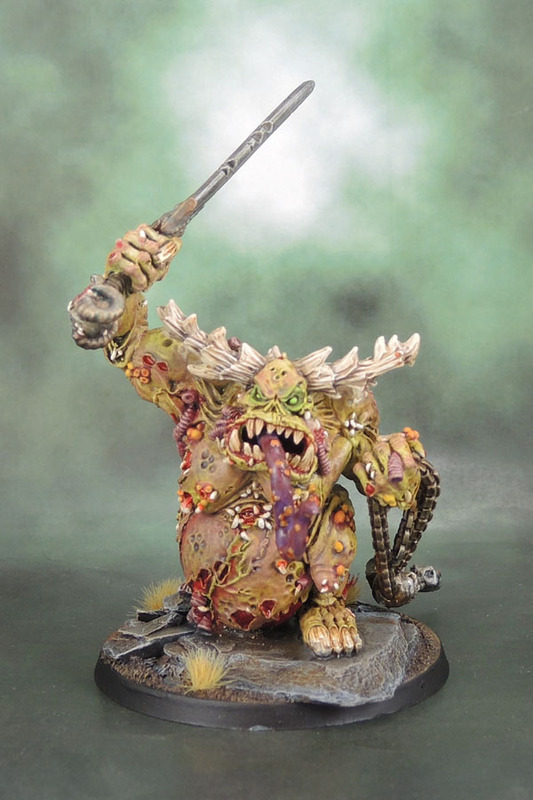 Pingback: Realm of Chaos – Nurgle’s Children 2018 #7: Mamon Transfigured, Fel Icon of the Tainted (Forge World). 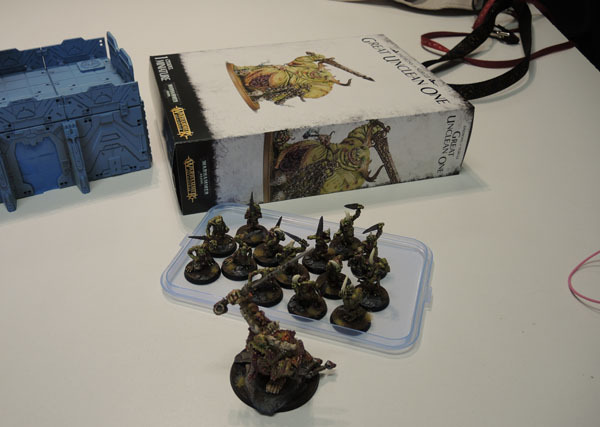 Painting Decemb-uary 2017-18: Postscript 2 | Azazel's Bitz Box.